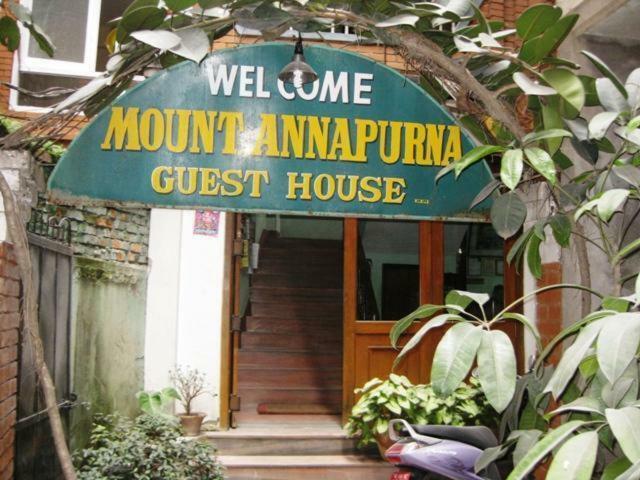 Lock in a great price for Mount Annapurna Guest House – rated 9.1 by recent guests! Everything. Almost felt like home. Friendly greeting every time left or returned. Very comfortable, very central on one of the busy Thamel streets but pretty quiet even tho was there for New Years Eve. Amazing for the price. Location is in Thamel utmost tourist place in Kathmandu. Hot Shower. Good wifi, quiet hotel. Nice staff and honest, saying actual price for taxi with or without their service. Help book bus to Pokhara. Good value for money. The staffs are very helpful and welcoming. 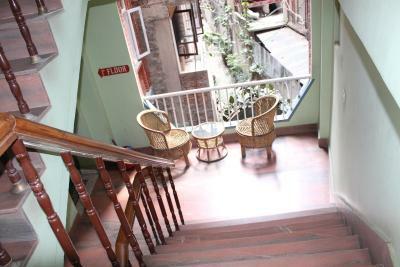 The location is perfect, close to thamel but still quiet. Great value for money. A great jem hidden in Thamel. The staff are so friendly and helpful. I had trouble finding it as the pin on booking.com is a little off, but they came out to find me. So nice! The rooms are clean and bright. The corner rooms in particular. They have a little table and chair to sit by the windows. The food is good value and they brought it up to my room when I was not feeling well. They had extra blankets for the cold and a super hot shower! They have a ticket system for storing luggage so you don't worry your bag will get mixed up with someone else's. Most of all I found them very personable and helpful. Definitely will come back soon! Lovely, clean, friendly place. Quiet lane off the busier streets. Great hot showers, warm hospitality. We planned to stay for 2 nights in Mt Annapurna Guesthouse and extended our stay for a week, even spent another night before leaving Nepal. 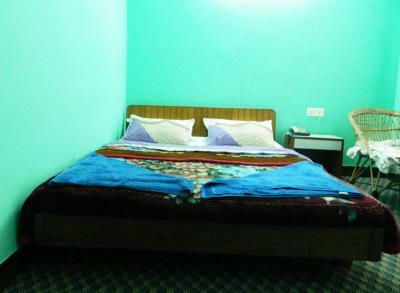 Hotel is located in Thamel, close to everywhere but away from traffic and cacophony. 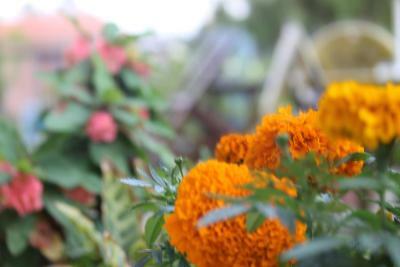 It has reasonable prices for its location and hospitality. No need to pay for more expensive hotels, which provide more or less the same. Staff is very friendly and helpful, even their advices about Kathmandu and travelling in Nepal made our visit easier and more comfortable. 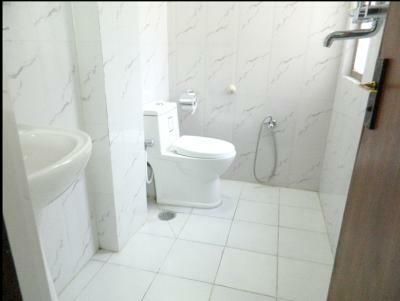 Rooms are basic and clean, and in the case of any issue it is solved very quickly. Highly recommended for those, who want to stay around Thamel. Stayed here before and after my trek including leaving my bag safely in storage for 2 weeks! This place particularly the perfect place for me after trekking as I booked a single room, but as they had the room they gave me a king size bed with ensuite for the same price. The shower was very powerful better than mine back home in England and the tv had all the channels available, so I did spend a few hours relaxing and watching game of thrones before heading out to dinner. The location is fantastic right in the heart of thamel and just a stones throw from what became my favourite restaurant Kantipur Tandoori House and the massage parlour seeing hands. All in all can't recommend these guys highly enough, definitely staying here again! The staff were very friendly and helpful. They sorted taxis for us and a bus to Pokhara. We arrived late at night but still received a warm welcome. 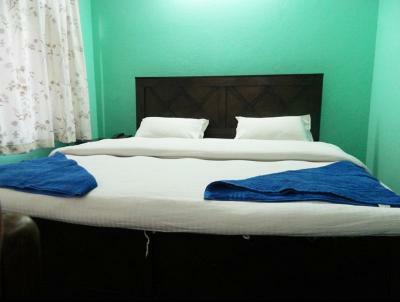 Rooms are comfy and spacious for the price. It’s about 10 minutes walk to some good restaurants and shops around walking street. 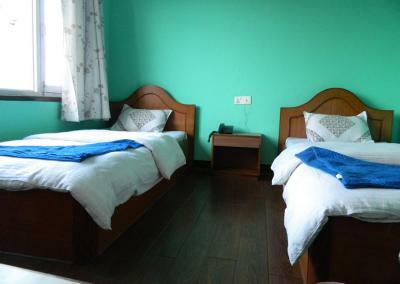 Mount Annapurna Guest House This rating is a reflection of how the property compares to the industry standard when it comes to price, facilities and services available. It's based on a self-evaluation by the property. Use this rating to help choose your stay! 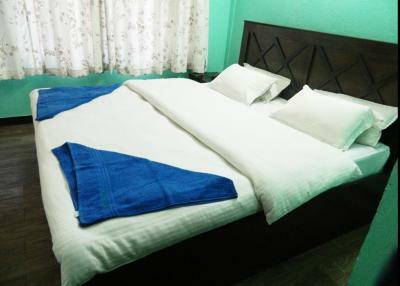 Located 2.5 miles from Swayambhu and QFX Cinema, Mount Annapurna Guest House offers basic rooms with free local calls and free Wi-Fi. The guesthouse features a rooftop restaurant. 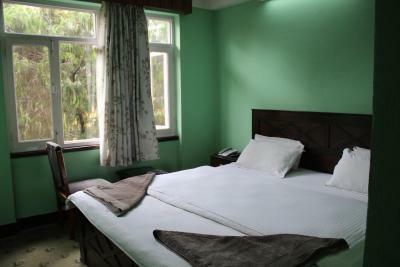 Mount Annapurna Guest House is within 5 miles from Tribhuvan International Airport and Pashupati. Boudha is 6 miles away. Rooms each have a TV and telephone. Private bathrooms include shower facilities. 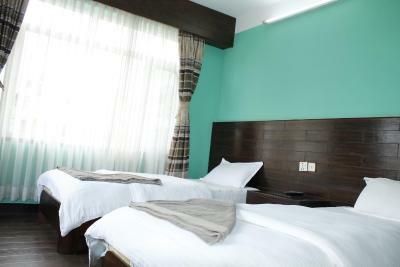 The guesthouse’s tour desk can provide information and assistance with sightseeing trips, in addition to offering ticketing confirmation. Postal service and motorbike rentals are available. A selection of local cuisine is served in the restaurant. Thamel is a great choice for travelers interested in shopping, hiking and food. 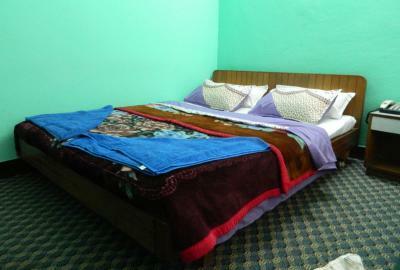 This is our guests' favorite part of Kathmandu, according to independent reviews. 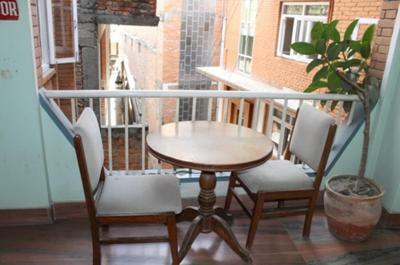 뀐 Located in the real heart of Kathmandu, this property has an excellent location score of 9.4! 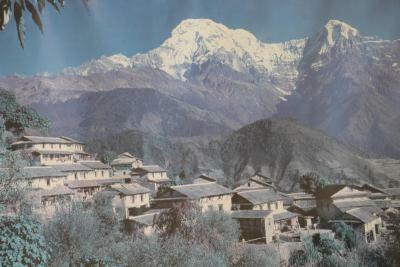 When would you like to stay at Mount Annapurna Guest House? A basic room with an attached bathroom. A TV and telephone are provided. Area Info – This neighborhood is a great choice for travelers interested in shopping, hiking and food – Check location Excellent location – show map Guests loved walking around the neighborhood! House Rules Mount Annapurna Guest House takes special requests – add in the next step! 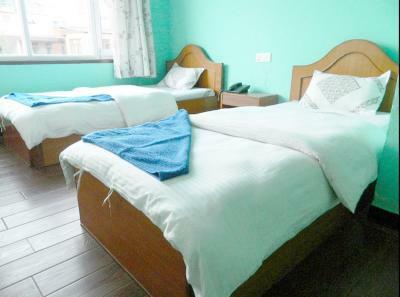 Mount Annapurna Guest House accepts these cards and reserves the right to temporarily hold an amount prior to arrival. Nothing. You get what you pay for. 24hrs Hot shower! Food is good also. A bit cold in the rooms, and I’d suggest finding somewhere else to do laundry as it was a bit expensive. If it's cold outside, it's cold in the room as there is no heating and the bathroom has no window. Extra blankets were provided though. Good and hot shower. Clean room. Friendly personnel. Good location. Good wifi. Friendly helpful owner. Clean. Hot shower. Basic but good value. 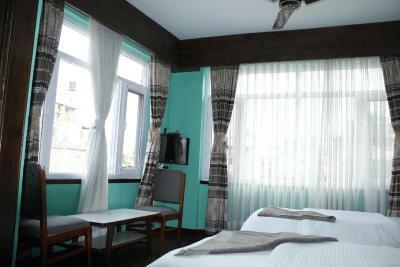 The staff are friendly and very helpful, the room are comfy and has hot shower. Very recommend to stay. 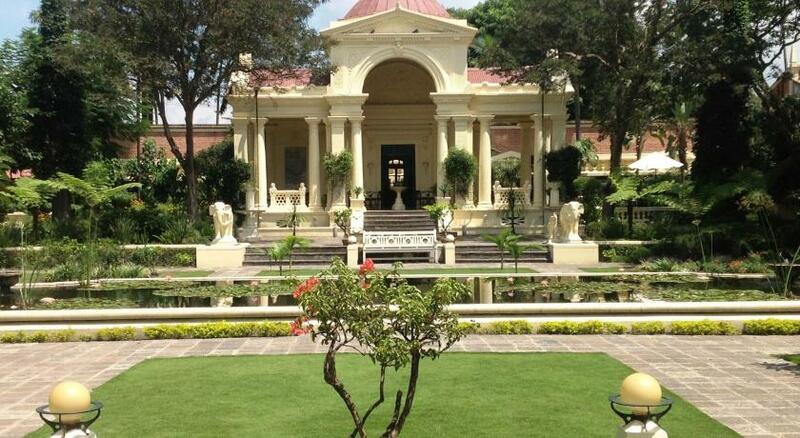 Perfect place to stay in Kathmandu. Excellent location, great staff, hot showers. We even went back to stay again!! !